“In order that the Christian youth may be diligently instructed in the principles of religion, and be trained in piety, three modes of catechizing should be employed. 1. In the houses, by parents. 2. In the schools, by schoolmasters. 3. In the churches, by ministers, elders, and catechists especially appointed for the purpose. That these may diligently employ their trust, the Christian magistrates shall be requested to promote by their authority so sacred and necessary a work; and all who have the oversight of churches and schools shall be required to pay special attention to this matter. “1. The office of parents is diligently to instruct their children, and their whole household, in the principles of the Christian religion, in a manner adapted to their respective capacities; earnestly and carefully to admonish them to the cultivation of true piety; to engage their punctual attendance on family worship, and take them with them to the hearing of the Word of God. They should require their children to give an account of the sermons they hear, especially those on the Catechism, assign them some chapters of Scripture to read, and certain passages to commit to memory, and then impress and illustrate the truths contained in them, in a familiar manner, adapted to the tenderness of youth. Thus they are to prepare them for being catechized in the schools, and by attendance on these to encourage them, and to promote their edification. Parents are to be exhorted to the faithful discharge of this duty, not only by the public preaching of the word, but specially at the ordinary period of family visitation, previous to the administration of the Lord’s Supper: and also at other proper times, by the minister, elders, etc. Parents who profess religion and are negligent in this work, shall be faithfully admonished by the ministers, and if the case requires it, shall be censured by the consistory, that they may be brought to the discharge of their duty. “2. Schools, in which the young shall be properly instructed in the principles of Christian doctrine, shall be instituted not only in cities, but also in towns and country places, where heretofore none have existed. The Christian magistracy shall be requested, that wellqualified persons may be employed, and enabled to devote themselves to the service, and especially that the children of the poor may be gratuitously instructed, and not be excluded from the benefit of the schools. In this office none shall be employed but such as are members of the Reformed Church, having certificates of an upright faith and pious life, and of being well versed in the truths of the Catechism. They are to sign a document professing their belief in the confession of faith, and the Heidelberg Catechism, and promising that they will give catechetical instruction to the young in the principles of Christian truth according to the same. The schoolmasters shall instruct their scholars, according to their age and capacity, at least two days in the week, not only by causing them to commit to memory, but also by instilling into their minds an acquaintance with the truths of the Catechism. For this end three forms of the Catechism adapted to the threefold circumstances and ages of the young, shall be used. The first shall be for the young children, comprising the Articles of Faith, or Creed, the Ten Commandments, the Lord’s Prayer, the Institution of the Sacraments, and Church discipline, with some short prayers, and plain questions adapted to the three parts of the Catechism. The second shall be a short compendium of the Catechism of the Palatinate (or Heidelberg), used in our churches, in which those who are somewhat more advanced than the former, shall be instructed. The third shall be the Catechism of the Palatinate (or Heidelberg), adopted by our churches for the youth still more advanced in years and knowledge. 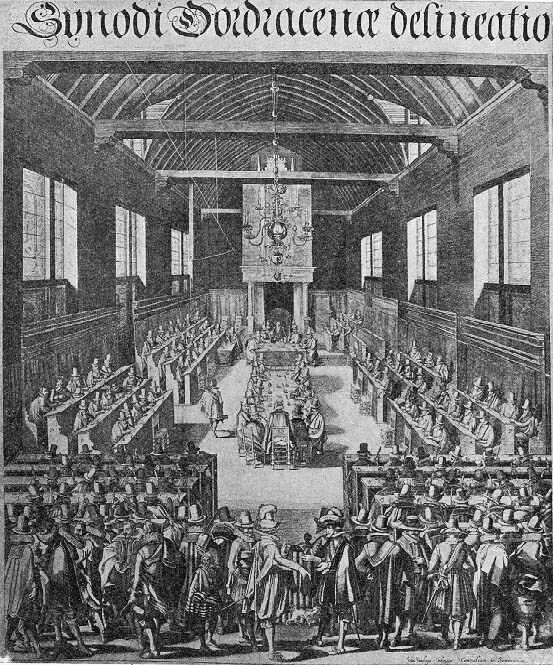 The Walloon churches of the Netherlands, who have long been accustomed to the use of the Genevan Catechisms, may still continue them in their schools and churches, but the schoolmasters shall not employ any other formularies than these in their schools. The magistrates shall be requested to exclude from the schools all Popish Catechisms, and all other books, which contain errors and impurities. The schoolmasters shall take care, not only that the scholars commit these Catechisms to memory, but that they suitably understand the doctrines contained in them. For this purpose they shall suitably explain the topics to every one in a manner adapted to his capacity, and frequently inquire, if they are understood. The schoolmasters shall bring every one of the pupils committed to their charge, to the hearing of the preached word, and particularly the preaching on the Catechism, and require from them an account of the same.